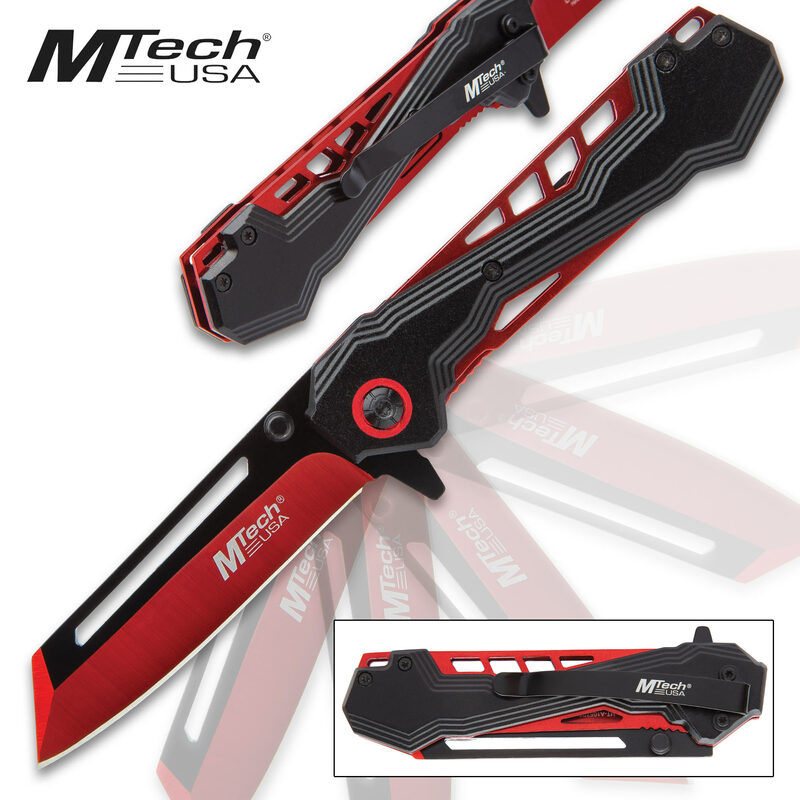 MTech Red Assisted Opening Pocket Knife - 3Cr13 Stainless Steel Blade, Anodized Aluminum Handle, Electroplated Liners, Pocket Clip | BUDK.com - Knives & Swords At The Lowest Prices! 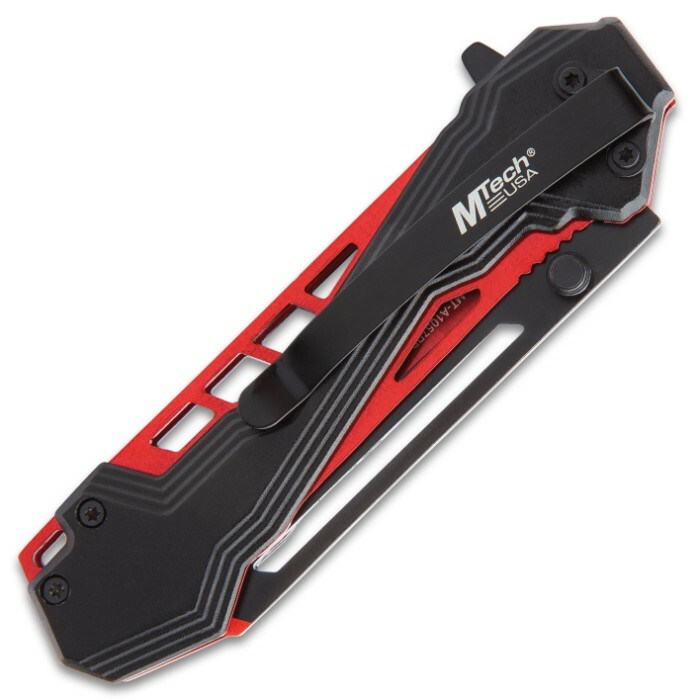 The MTech Red Assisted Opening Pocket Knife has an ultra-modern, tactical look and feel that’s slim-lined and efficient. When you’re holding it, you know it’s going to work for you with clean cutting performance. 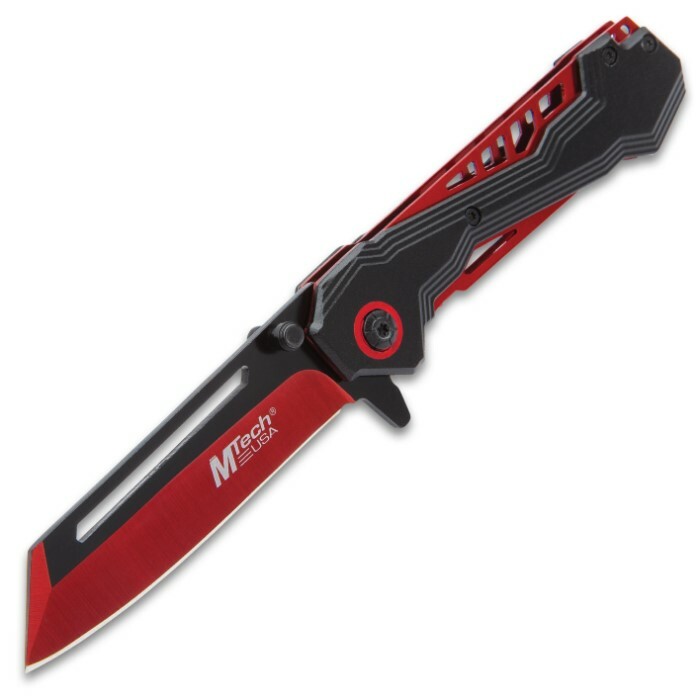 The pocket knife has a keenly sharp, 3 1/4" 3Cr13 stainless steel blade with a two-toned red and black finish and a modified Samurai point. 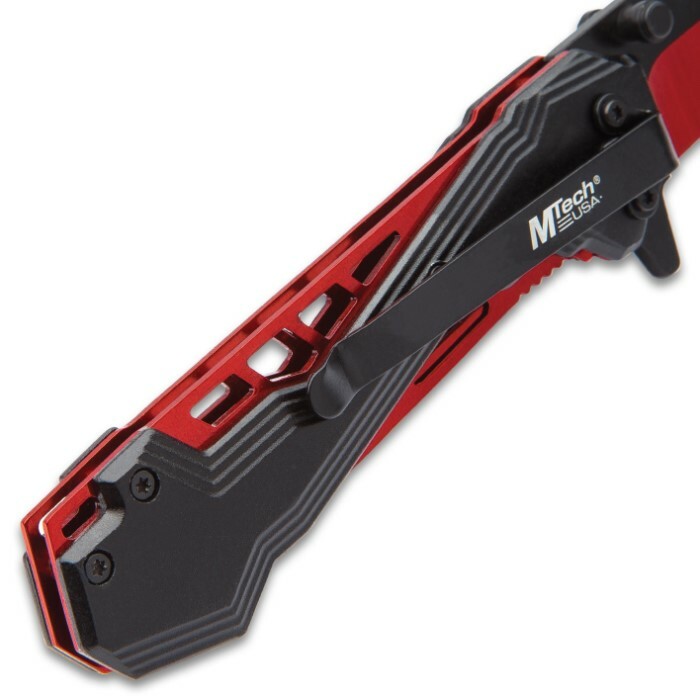 The ultra-light weight handle is crafted of black anodized aluminum and features red electro-plated liners. The liners are visible and have cutouts, which reduce the weight of the knife. The pocket knife is 7 3/4” overall, when open, and it has a sturdy metal pocket clip for ease of carry.